Lionel Messi has been excluded from the podium of the top prize at FIFA Best Awards after the final shortlists were announced by world football governing body, FIFA, on Monday. 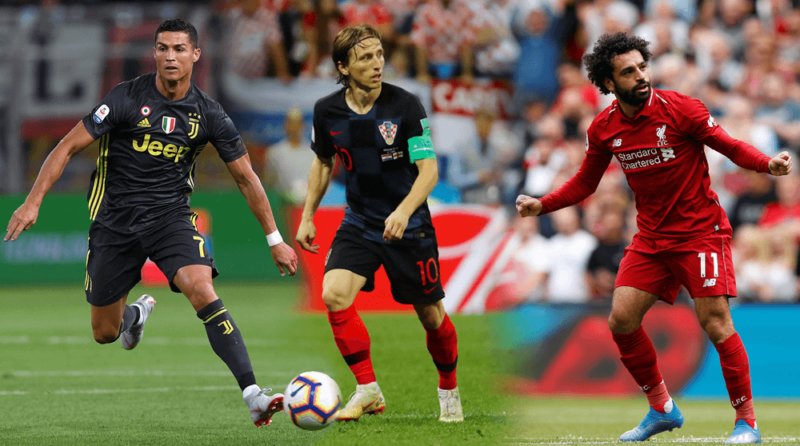 Making the three-man shortlist are Portuguese and 2017 Best FIFA Men’s Player Cristiano Ronaldo, Croatian Captain Luka Modric, and Egyptian forward Mohamed Salah. Modric had last week won the UEFA best player award for his spectacular contributions to his club, Real Madrid in the 2017/18 session, which infuriated his former team mate Ronaldo, enough that the Juventus star failed to turn up at the awards. Messi was part of the initial top 10 nominees, with Kevin De Bruyne, Raphael Varane, Antoine Greizmann, Eden Hazard, Harry Kane and Kylian Mbappe all failing to make the final three. The Best FIFA Football Awards winners will be unveiled at an event in London on 24 September. Belgium’s Thibaut Courtois, France’s Hugo Lloris and Denmark’s Kasper Schmeichel were shortlisted for the Best FIFA Goalkeeper Award. While for the Men’s Coach Award are, former Real Madrid coach Zinedine Zidane, Croatia national team coach Zlatko Dalic and France national team coach Didier Deschamps.